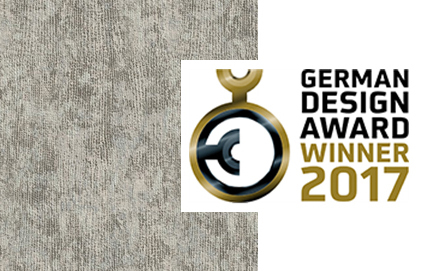 After winning the prestigious German Design Award 2016 Jaipur Rugs has garnered German Design Award 2017 (Special Mention: Excellent Product Design), second time in a row. What makes this achievement all the more special is that this year it is two of our rugs have won the accolades. The award ceremony had taken place on February 2017 in Frankfurt, Germany. The two rugs – Kras and Taittu – were a part of Jaipur Rugs’ Free Verse collection, designed by Kavi. Kras recreates patterns from crushed foil paper. The rugs are created through carefully studying the way light falls on each crease. Taittu is designed from the patterns of a rib knitted sweater. Each rise and fall is the result of carefully hand-knotted wool and silk. The creations in Free Verse can be described as modern interpretations of age old observations. The patterns may be found in nature or in the form of beauty in unexpected places. The result is a brand-new vision and “non-artists” are celebrated through these creations.